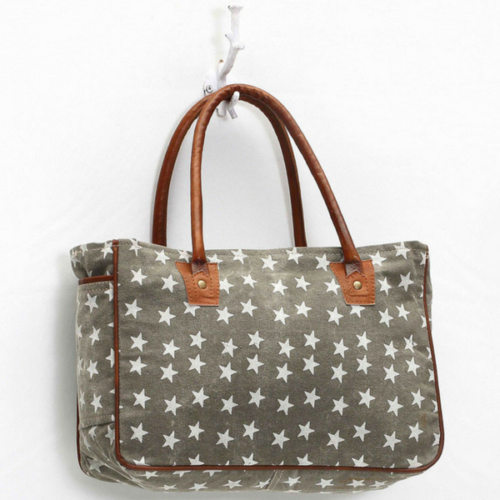 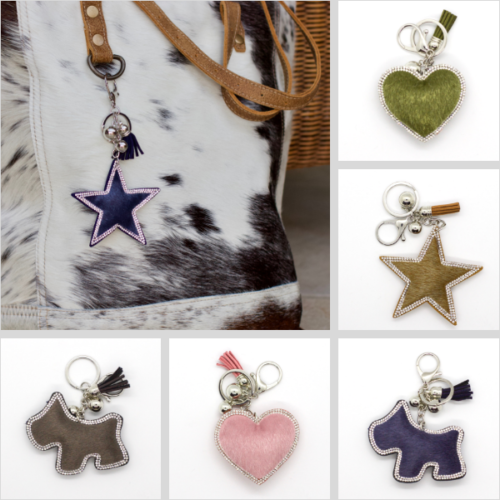 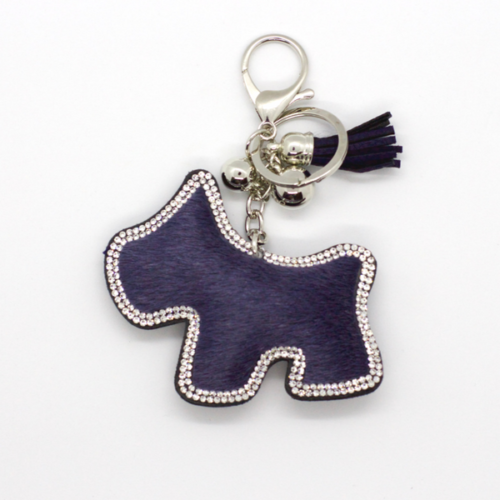 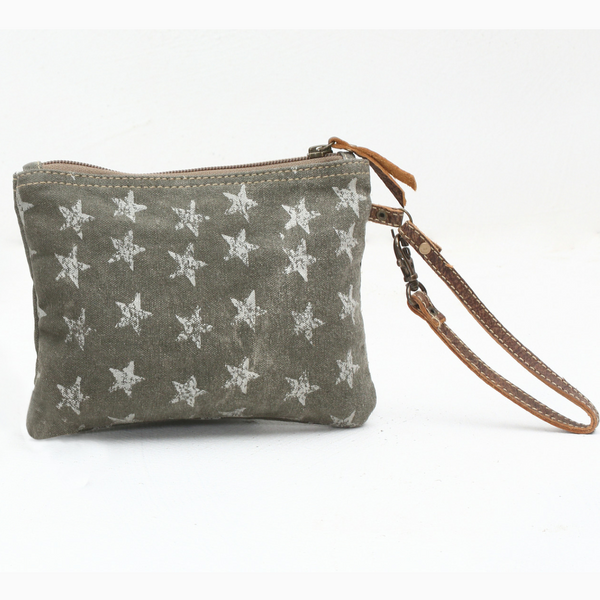 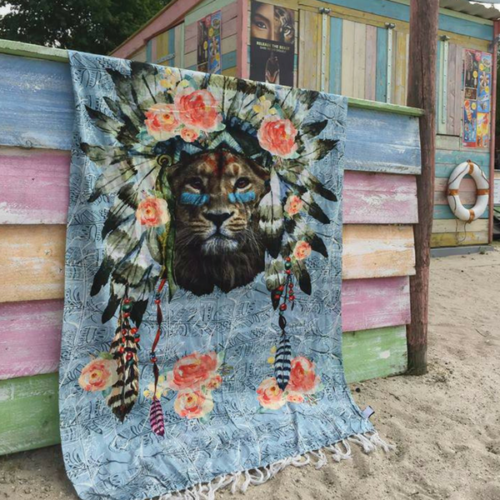 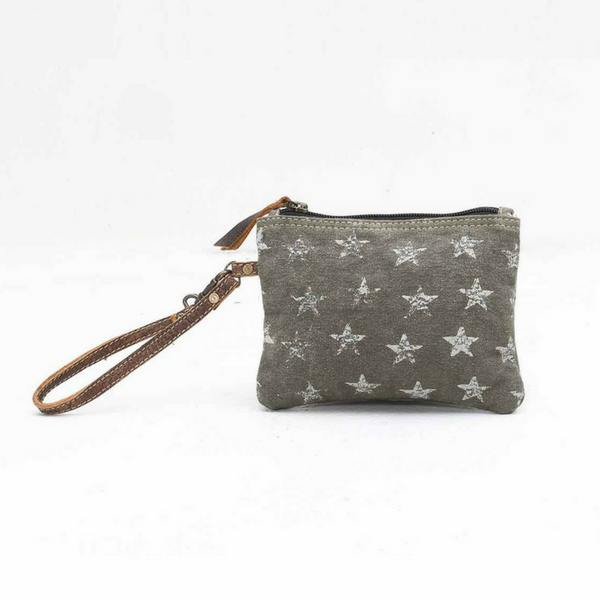 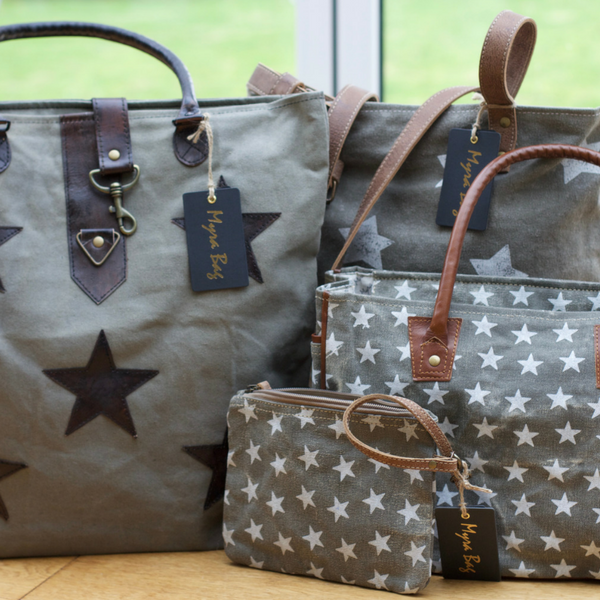 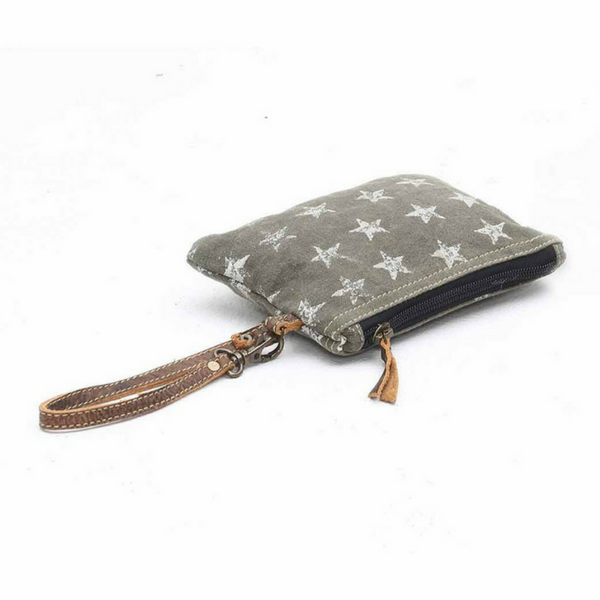 Add some ‘twinkle’ to your life with this boho chic Star Canvas Clutch Bag / Wristlet. 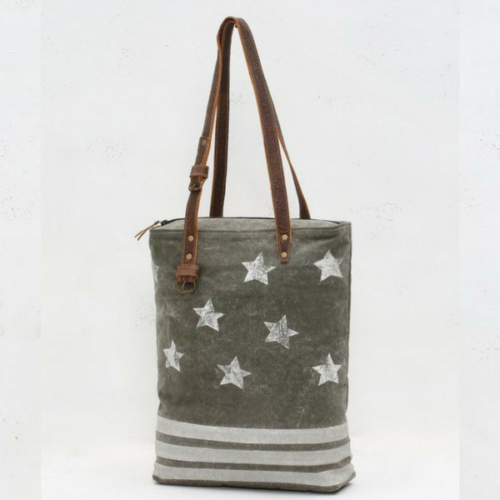 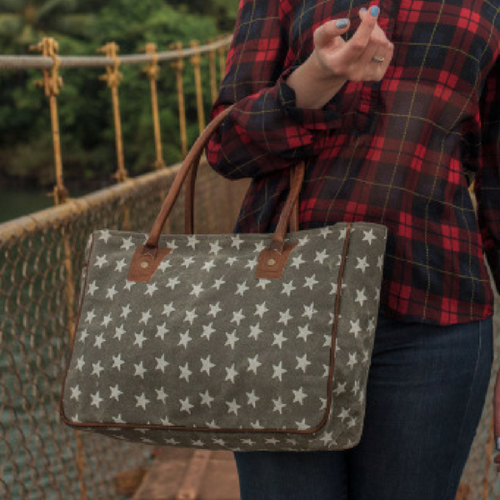 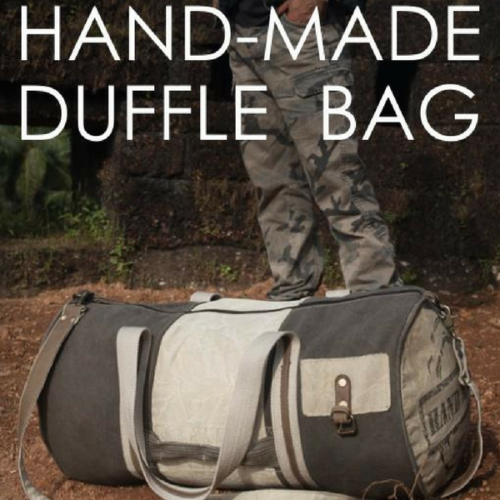 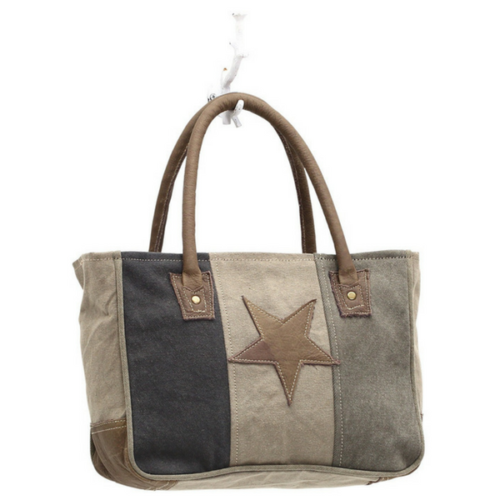 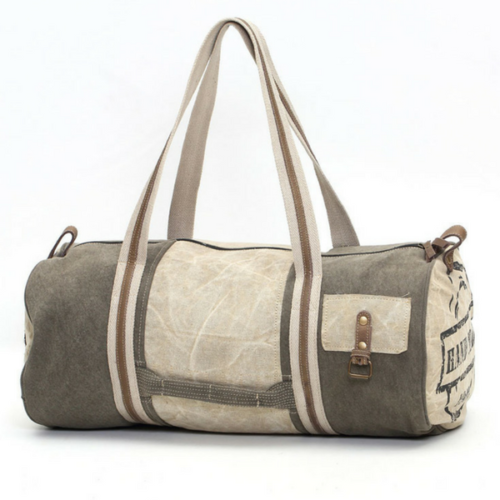 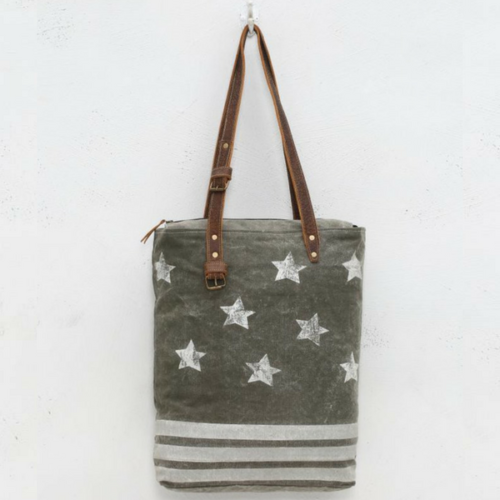 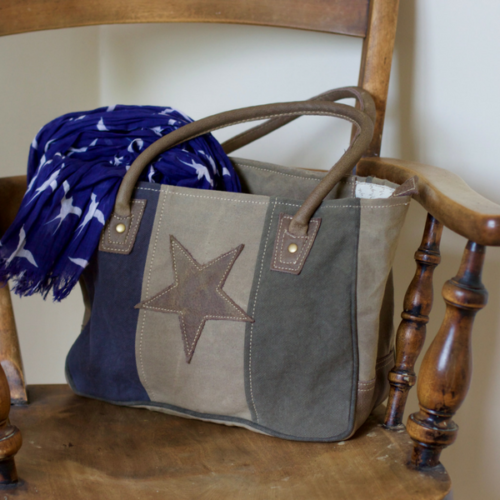 Made in India from from recycled army canvas, this small bag is the perfect accessory for any day out. 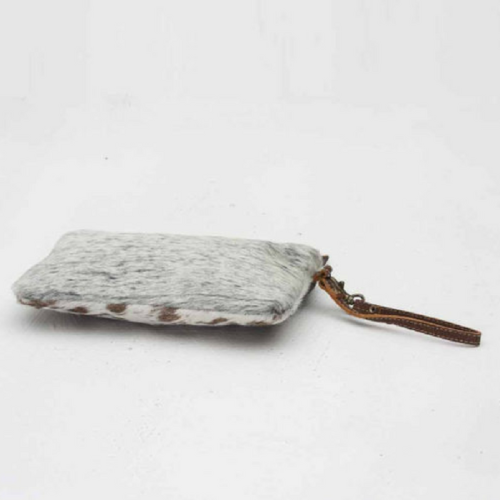 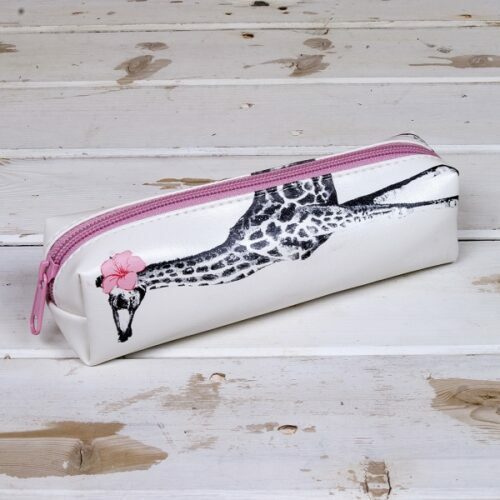 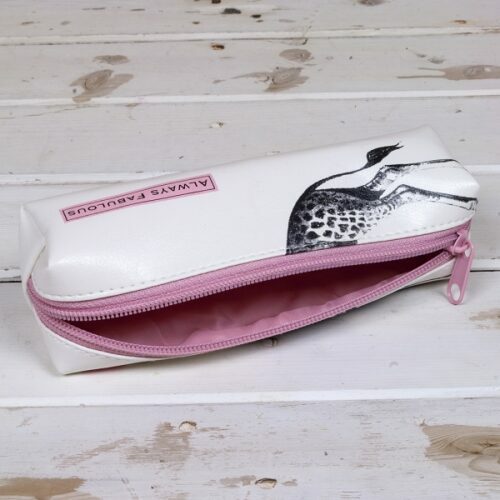 With it’s leather zip tag and handle and one main zipped compartment, this clutch can be used to organise your handbag or wear on its own as a casual statement piece. 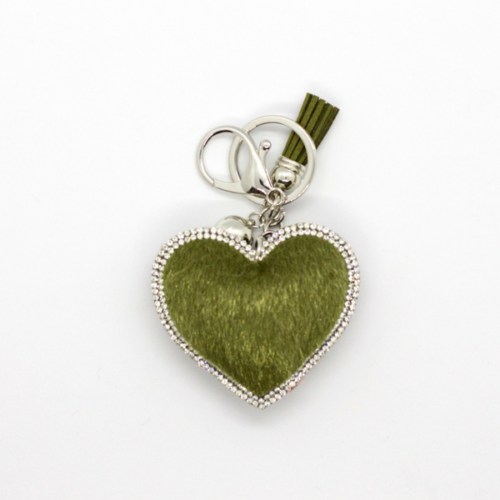 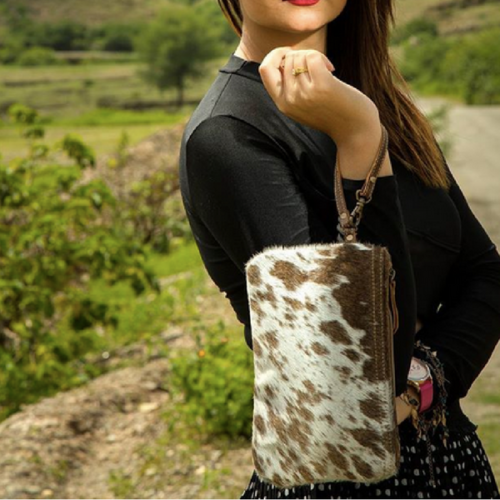 Myra Bag believe that one person’s trash is another person’s treasure. 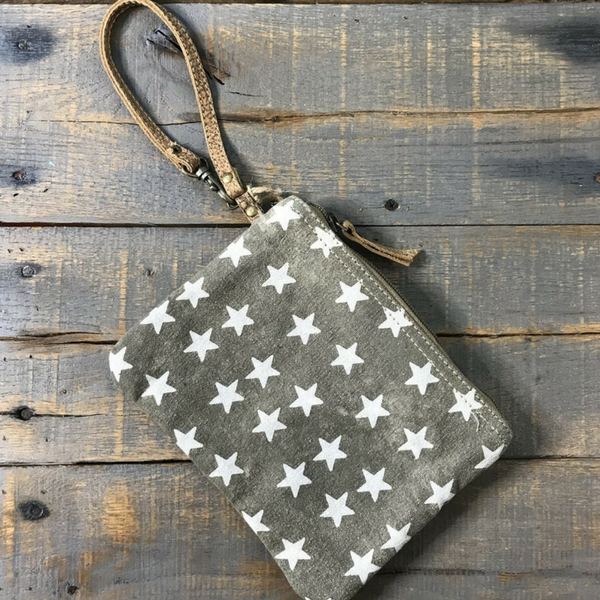 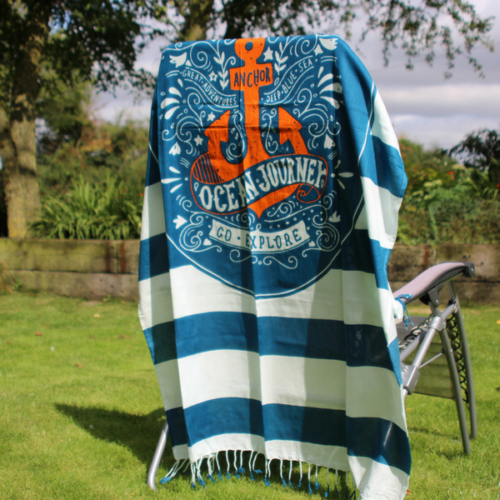 Hence the markings, stitches and other little blemishes found in the army surplus material add to the rustic vintage inspired look of this product.